Welcome to Eden Flowers of Bishop's Cleeve. We are a family business run by Sue, with over fifteen years’ experience in the wonderful world of floristry and are one of the only florists situated in the heart of Bishop's Cleeve. Eden Flowers are renowned for creating and styling truly beautiful blooms. We proudly offer a wide selection of floral items from bouquets to arrangements and will try our best to tailor our floral items to any occasion. Stunning floral masterpieces, event design, theming and balloon displays. Eden Flowers ensure that their trademark is included and seamless service is provided throughout every delivery. From weddings to corporate functions, celebrations to funerals, the incredible creative flair and inspirational approach Eden Flowers adopts, is second to none. We can also provide same day delivery on all orders placed before 2pm in and around Bishop's Cleeve. We offer a friendly and welcoming experience to each customer and strive to achieve the very best service by meeting your every need down to even the minor details to ensure that you leave our shop 100% satisfied. 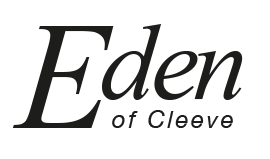 At Eden Flowers of Bishop's Cleeve we specialise in wedding flowers, funeral flowers and same day flower deliveries for any occasion. Be it birthday, anniversary, I’m sorry – whatever the occasion we can deliver the perfect bouquet for you. We also specialise in flowers for your business – serving lots of local businesses large and small. We frequently provide large flower arrangements for restaurants, exhibitions, seminars, graduation, and also thank you’s from businesses to customers. A friendly professional florist based in Bishop's Cleeve. We deliver fantastic floristry and cater for all occasions and requirements. We take extra care to cater for your specific requirements on time every time, we look forward to hearing from you soon!